At Baselworld next week, Arnold & Son will officially launch the Time Pyramid, which is inspired by vintage regulators and antique British skeleton clocks. The movement, caliber A&S1615, was designed and produced in-house in the brand’s La Chaux-de-Fonds workshops. The movement is hand wound, has 27 jewels, beats at 21,6000 vph (3Hz) and has an 80-hour power reserve. 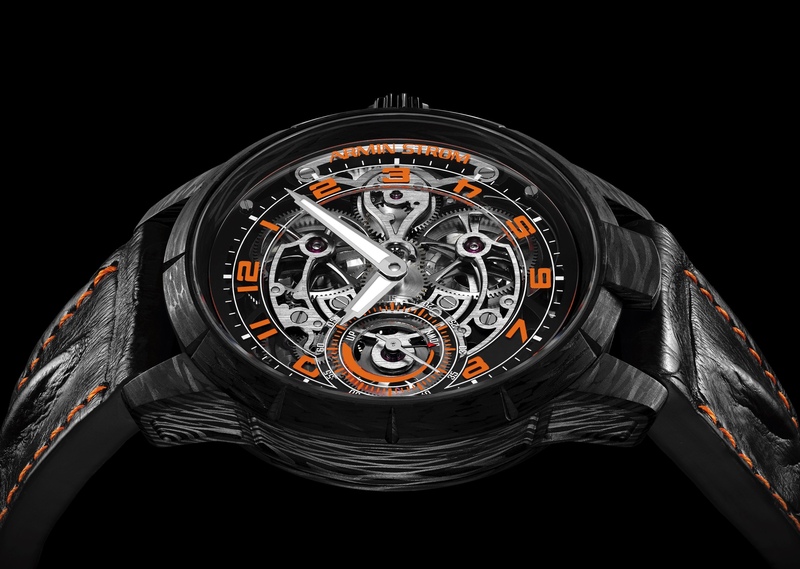 The large 37 mm diameter skeletonized movement is made of nickel-silver and is rhodium treated. 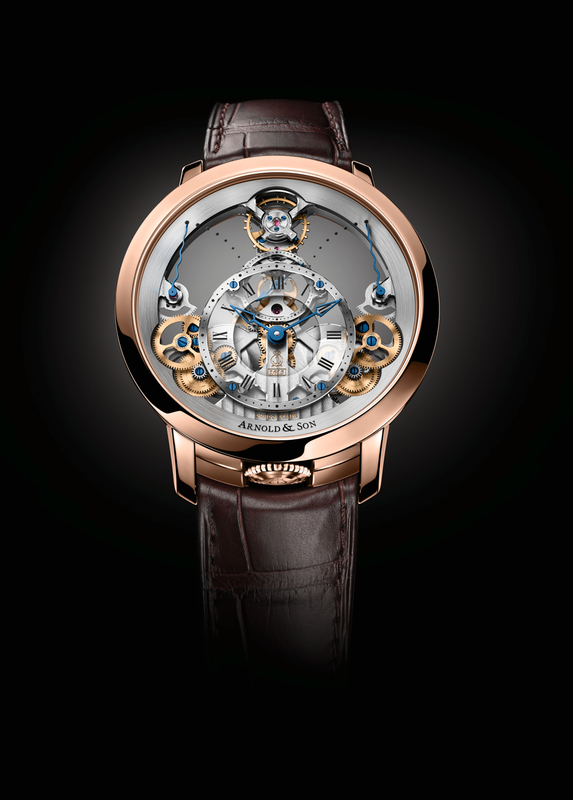 The bridges are chamfered with polished edges, Côtes de Genève, circular satin-finished wheels, blued screws skeletonized nickel-silver movement, rhodium treated with Haute Horlogerie finish: manually chamfered bridges with polished edges, Côtes de Genève, circular satin-finished wheels and blued screws. “Inspired by the regulators created by John and Roger Arnold over two hundred years ago, and by antique British skeleton clocks, the new Arnold & Son exclusive mechanical Caliber A&S1615 was conceived of, designed and developed in-house at the company’s La Chaux-de-Fonds workshops, Switzerland.